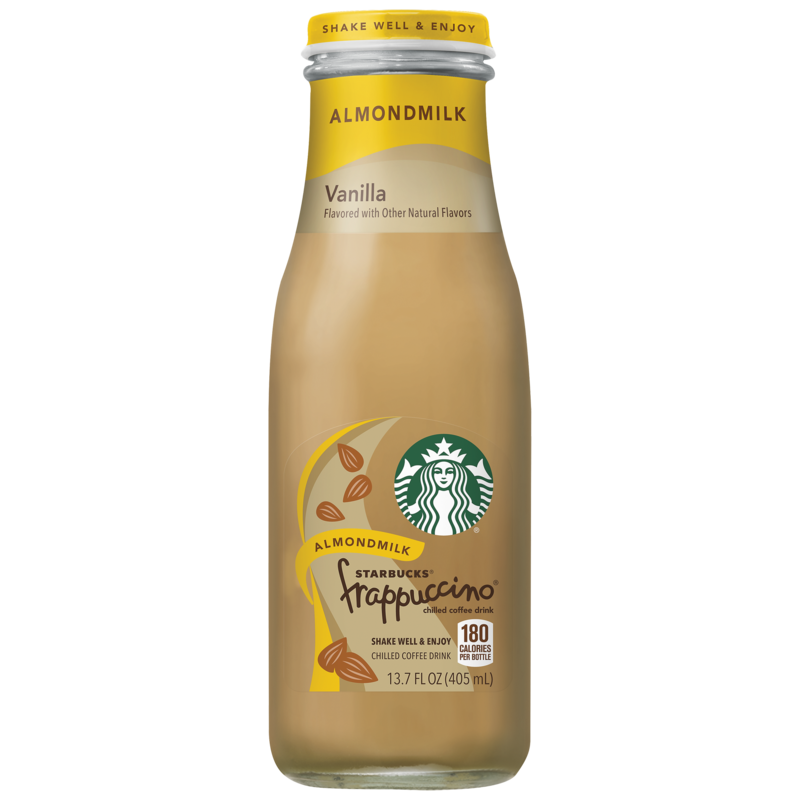 Discover Vanilla Frappuccino coffee drink, now available with Almond Milk! We use the finest Arabica beans to create a rich and undeniably luscious beverage. You’ll fulfill your coffee daydream in our Mocha Frappuccino coffee drink, now available with Almond Milk! A creamy blend of the finest Arabica coffee and almond milk, swirled together with our indulgent and chocolaty mocha. Frappuccino Salted Dark Chocolate, with a Splash of Cold Brew ~ we are bringing variety and excitement to the indulgent, flavor enthusiast consumer. With a unique twist of flavor like Caramelized Vanilla Honey, with a Splash of Cold Brew ~ delectable. 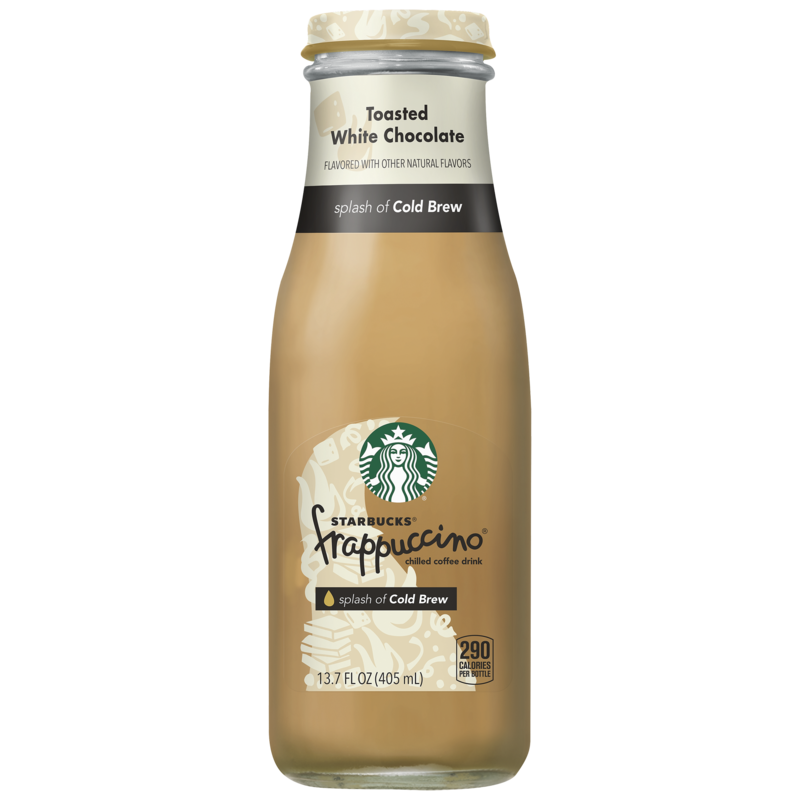 Enjoy Frappuccino Toasted White Chocolate with a Splash of Cold Brew. Mmmmocha. How else would our luscious, lowfat blend of Starbucks coffee, real milk and rich, chocolaty Mocha taste? Magnificent. Do you crave the creamy taste of vanilla? 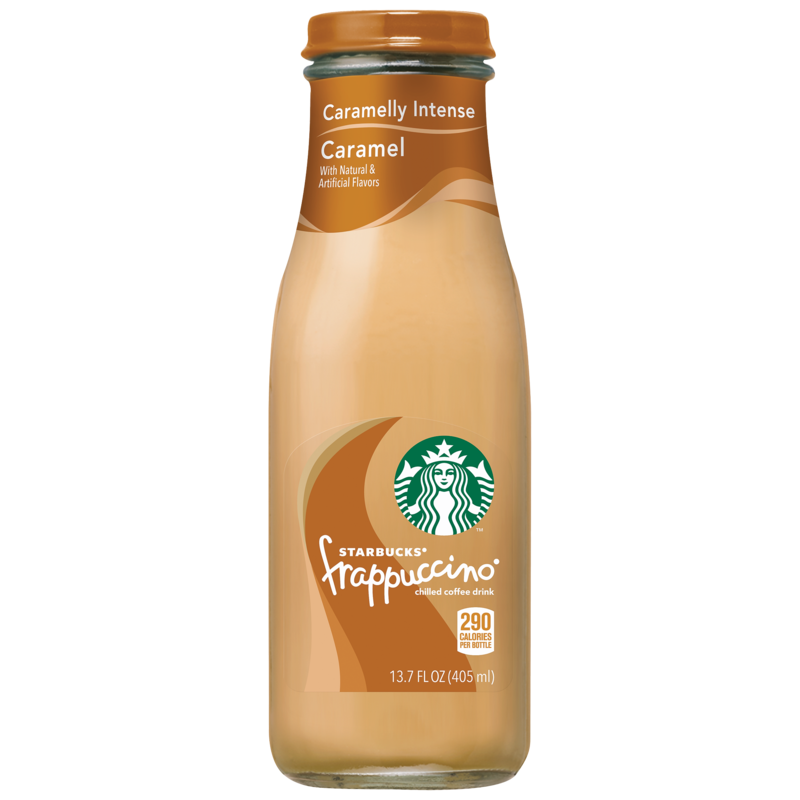 Reach for the sumptuously cool, lowfat taste of Starbucks coffee, real milk and smooth, sweet vanilla, and you’ll fix your cravings for good. Then, prepare to be enraptured, sip by heavenly sip. Pop the cap off our Frappuccino caramel, the perfect mix of smooth coffee and golden caramel. We use only the finest Arabica beans to create a beverage that is rich and undeniably luscious. Is there such a thing as bliss in a bottle? You bet there is. Picture this: the taste of bold, delicious Starbucks coffee and real milk, blended together to create pure coffee perfection. Wow! S’mores Frappuccino coffee drink is a delicious blend of Starbucks coffee and creamy milk filled with the sweet flavors of marshmallow, chocolate, and graham. Pop the cap. Savor the sip. Go. 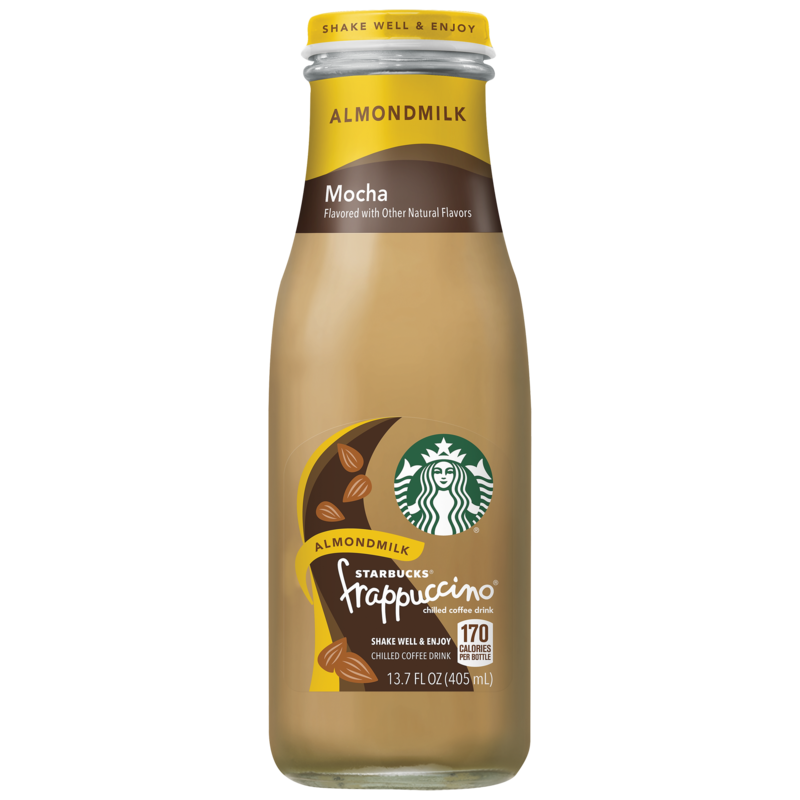 Mocha Coconut Frappuccino coffee drink is a harmonious blend of Starbucks coffee, creamy milk, rich cocoa infused with the sweet flavor of coconut. 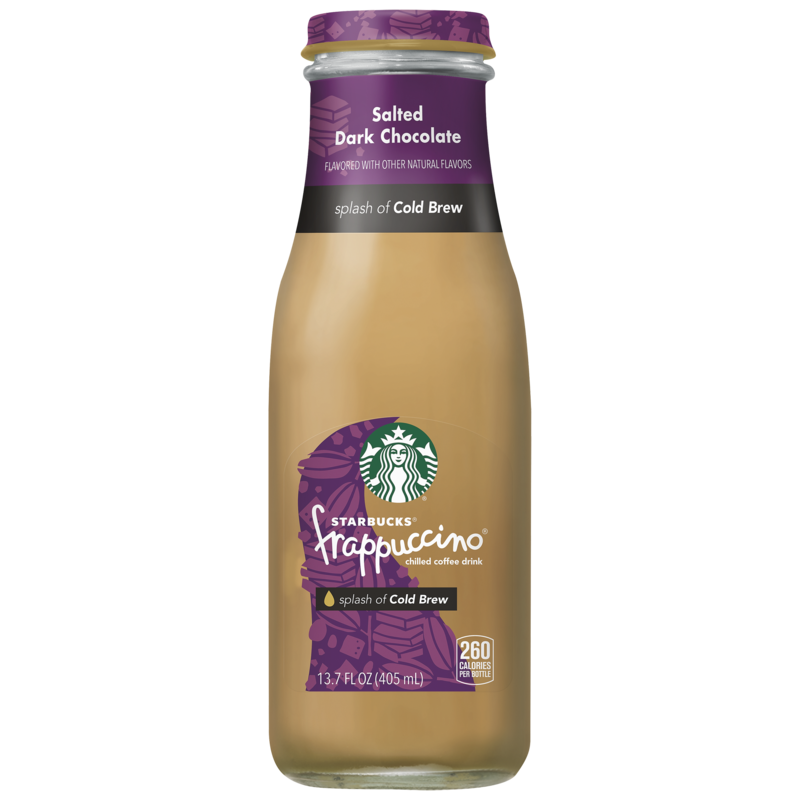 Try Frappuccino White Chocolate Mocha, our premium coffee and milk infused with luxurious creamy white chocolate and mocha that will not disappoint. We use the finest Arabica beans to fulfill your coffee desires. What do you get when you mix Starbucks coffee, real milk and luscious, chocolatey Mocha? Bottled euphoria. What don’t you get? 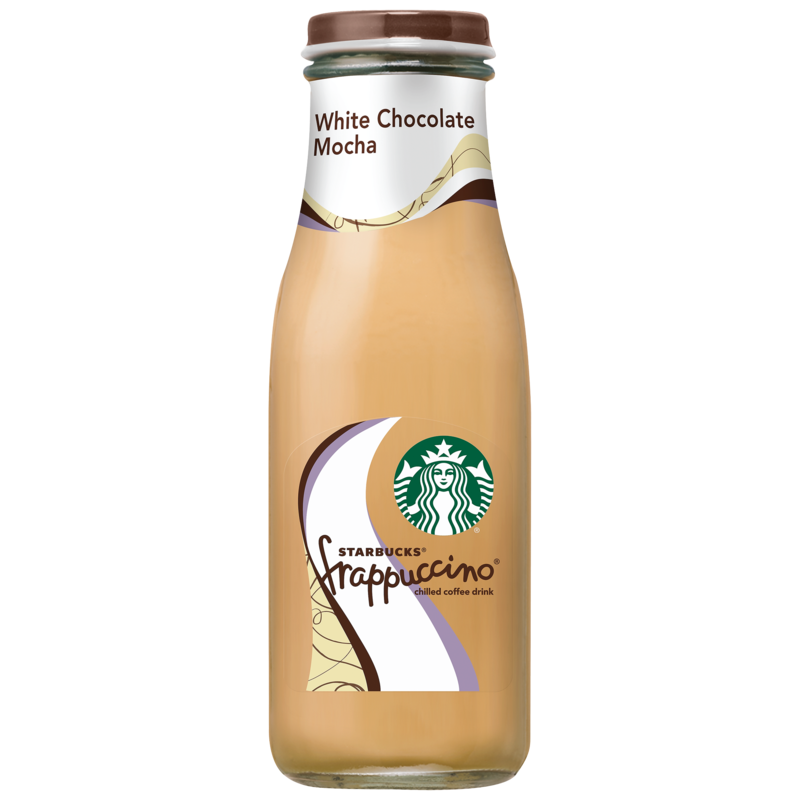 One third of the calories you’ll find in Mocha bottled Frappuccino. 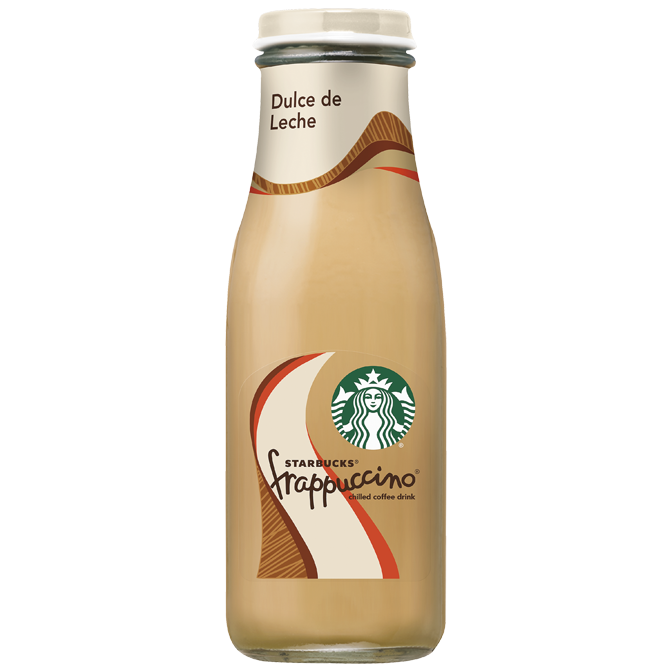 The same sweet, creamy indulgence of regular frappuccino, but only 100 calories per bottle. Frappuccino Vanilla Light is a delicious, creamy, lower calorie blend of Starbucks Coffee and Vanilla flavor. A sweet treat to satisfy your coffee craving any time of the day.